Does kendo keep you fitter longer? My usual blog posts are written with a degree of confidence as I at least know a little about the topics I cover. This is more a request for information, particularly if there are any medics or bio-scientists that happen to read this. I am now 66 years old and have been practising kendo for nearly 50 years. I still work, through choice and practice kendo at least two or three times a week. I travel regularly between the UK and Spain and numerous other destinations for kendo and work and, fingers crossed, still seem to have some energy to spare. My chiropractor told me recently that I “have the bones of a 30 year old man”, which sounded as if they were something I keep in the cupboard. In the past I augmented kendo with visits to the gym and regular runs in the belief that keeping my overall fitness level up would be of value to my kendo. I have long since given these up. I don’t make any lifestyle concessions and despite my wife’s advice continue to eat and drink the wrong things and surprisingly still seem to feel OK. So I suppose my question is – does kendo make a long-term difference to fitness levels and if so why? As far as I can see jigeiko is anaerobic. We engage for short bursts of full-on activity, and then retire to a safe distance. Suburi , kirikaeshi and kakarigeiko are closer to aerobic training but generally we don’t encourage seniors to do too much of these. I have been witness to the numerous kenshi in Japan who train into their 70s and 80s, in some cases 90s. Many of these sensei train twice a day, 6 or 7 days a week. 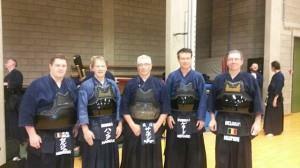 In comparison to many other sports where it is unusual to see someone continue past the age of 40, kendo is highly unusual. Obviously kendo does not make you immortal. 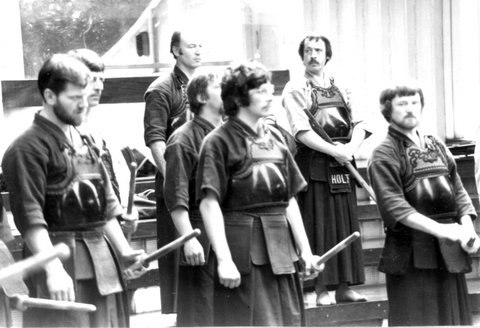 Many of us have lost kendo friends who have passed away or who have had to stop because of ill health. I have no statistical evidence and I am sure that there are differences in the stats for professionals and amateurs and those based in Japan and Korea versus the rest of the world, but kendoka seem to keep going for longer. I understand that as we age in kendo we replace physical strength with kigamai and kizeme. What I don’t know is whether kendo actually helps improve our health as we age and in which way it benefits us. Any illumination on the subject would be much appreciated. I recently saw a trailer for a post on Linkedin titled “what would you do differently if you knew at age 22 what you know now?” As usual I did not have time to read the article, but the heading made me think about how a similar question would work in a kendo context. 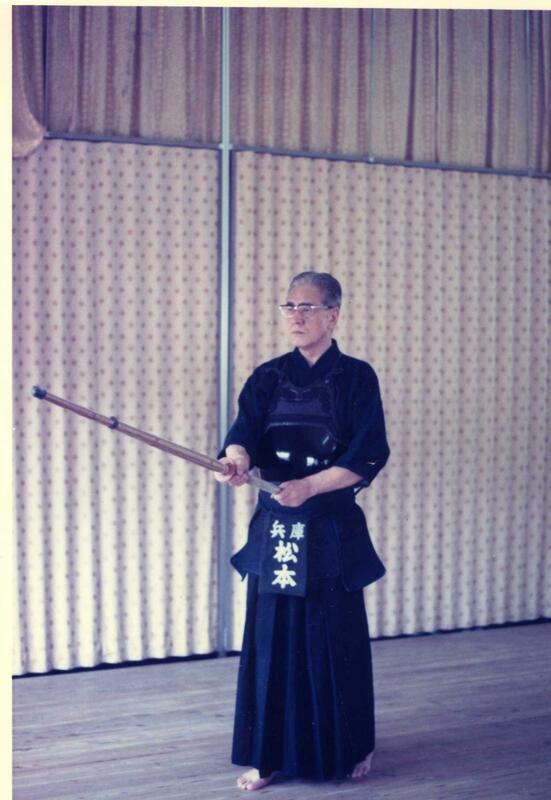 At 22 I was a first dan, three years into my kendo career, training regularly and energetically. My foot movement usually followed that of my arms and shoulders and when I hit men it was if I was trying to drive in a fence post or win a coconut at the fairground. When I later moved to Japan my friends and teachers suggested that my keiko was “gotsui” which in Kansai Japanese means “very”, but the inference is ”more than needed” or “over the top”. Had the present day me been able to advise the 22 year old me, I would have suggested that I “lighten up”. I would have recommended that I relax, and instead of making my attacks hard and heavy, I should make them sharp and light, using forward motion and tenouchi. Even then, I probably would have ignored my own advice as I had that of various illustrious sensei, that is until my body was no longer able to waste energy. I see many younger friends make the same mistakes and even though they agree with the advice I give them, they seem unable to change. When you watch the All Japan Championships, you often see kenshi in their 20s and early 30s who are able to use kendo energy effectively. They may have started younger, practice harder and be more naturally talented than the average club kendoka, but I am sure that if we follow their example, there is a way to get our kendo looking like theirs before reaching old age. So for me it’s not so much a case of “I wish I knew then what I know now”, more a case of “I wish I could do then what I know I should be doing now”. Thank you all for the many well thought-out comments on last week’s post. In spite of me breaking the first law of blogging, (never post anything ironic without including a smiley face or lol), you gave me some deep personal insights into what we really gain from our kendo practice. The qualities you mentioned or described included, courage, perseverance, perception, the ability to stay calm under pressure and perhaps the most interesting from my perspective, durability and stamina; keeping our kendo practice moving forward into our old age. In comparison to my teachers and seniors I am a mere child at the age of 64 and yet I look forward to each keiko session as much as I did when I started aged 17. I can’t remember what it is like not to do kendo but I am fairly certain that I feel better than many of my peers who lead more sedentary lives. OK, so the knees do ache a bit the morning after practice, but apart from that, fingers crossed, my capacity to enjoy kendo and life in general is undiminished. 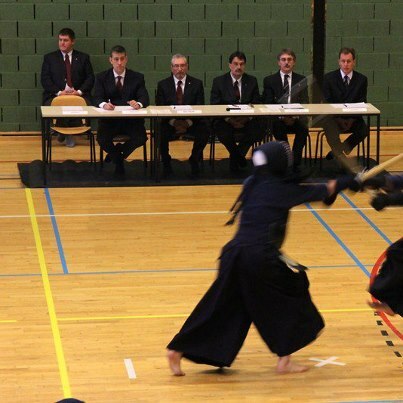 Kendo has a way of making allowances for the changes brought about by aging that many other sports and pastimes do not. I have heard stories about heart-attacks in the squash courts, whereas in kendo if you learn to breathe correctly and keep going, kizeme takes over from physical power and you can continue to train with younger, fitter partners. What was also obvious is that most people embraced the fact the kendo really is a lifelong route to self-improvement and not just a competitive sport. You also gave me some great examples of how you put the benefits of your keiko into action. Eric’s coolness in avoiding being hit with a 300kg piece of metal and Steven’s resilience in the face of life threatening cancer and its painful treatment are 2 very different, but equally valid examples. I am writing this in advance of its Monday morning post, as I am spending the weekend at the European Referees’ Seminar in Brussels. As well as brushing up refereeing skills it is a great opportunity to catch-up with old kendo friends. Getting together with other kendoka, be it in person or through this blog, reminds me of my other reason for continuing kendo. It’s great to be part of an international community of like-minded people. Reflecting on the Brussels grading, I am reminded that the higher your age, the more difficult it becomes to pass. In my experience, this is not just true for Europe, but applies everywhere including the kodansha grading examinations in Japan. Now I don’t for a moment think that kendo is ageist. We are privileged to be able to participate at ages that would have exceeded the retirement points in many other sports. Nor when looking at the array of venerable sensei on some grading panels do I think there is any bias against senior candidates. It is however an irrefutable truth that it becomes more difficult to force your body to do good kendo as you reach your 50s and 60s. Knees and ankles wear out, particularly after years of training on hard floors. Forward motion becomes more difficult and some older kenshi start to rely more on upper-body strength to hit the target. Unfortunately this is not the way forward. I was fortunate to receive some concerted coaching from Chiba sensei when in my mid 50s that made me realise that I had to adapt my kendo to my age. The key points were that you needed to find your own distance, keep your footwork light, but still forward, and use your opponents’ movement to your advantage. Rather than making your attacks bigger and harder, they should be smaller and lighter. The more you advance in grade the more important seme becomes. This does not mean that you should constantly push in to take shikake waza, but you should also use hiki-dasu to make your opponent move towards you so that you can execute debana and oji-waza. The logic is that when your opponent steps towards you, you need only take half a step to reach the target. And it’s not always necessary to make fumikomi. A sliding step forward can be sufficient if you have good ki-ken-tai-itchi. Zanshin is of course important, but you do not need to gallop across the dojo to make your point. Two or three steps through with good posture and kamae, before turning to re-engage should be enough. Kizeme is a necessity. Mochida sensei’s often quoted truth that when your body becomes frail you have to rely on “indomitable spirit” to subdue your opponent is key. You should use your mental strength to make the opponent move in a direction and timing where you can hit him. One of my other favourite quotes on this subject is from Kikuchi Koichi sensei who said “as I become older I move more slowly, but I also see my opponent’s movement more slowly”.